As a senior citizen (SC) who brags about being among a few who surfs the net, I am also proud to say that I understand a bit about new technology gadgets. As an SC who actively participates on web forums and social media, I have enough knowledge in using personal computers to do them. I use a smartphone for making and receiving voice calls, sending and replying to text messages and taking photos and videos of persons and objects of my interest. I also have an Android tablet for reading online news, checking emails and replying to them if urgently needed. In many instances, especially when I am not at home, I use my smartphone and tablet to participate in the discussions in my Facebook groups. 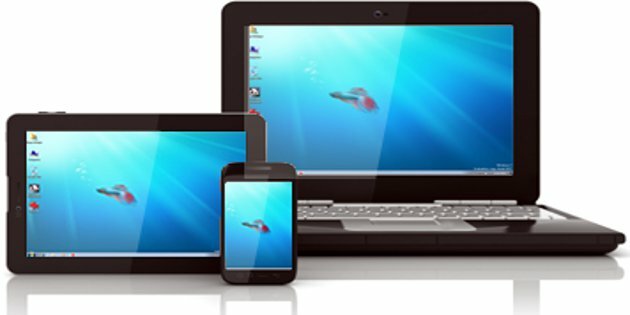 I do not pretend to be an expert on tech gadgets as we call them but being an SC who enjoys using smartphone, tablet and computer, I wish to give an unsolicited advice to my fellow “young once” and/or their “guardians” (children and grandchildren who provide them with the gadgets). This is regarding some tips in choosing the right kinds of tech gadgets to buy and/or give to people of our age who needs them. The senior citizens definitely need cellphones for voice communications and text messaging with relatives, friends and acquaintances. Sometime, if it is a smartphone and not just an ordinary phone that an SC has, he may use it also to participate in social media although it is less convenient to use than a tablet and a personal computer. First, unless the SC minds, it should not matter whether he will have an iPhone, a Blackberry, Windows or Android kind of smartphone. The learning curve, if it will be the first time to use, is the same for all of them. The SC’s commitment to learn how to use it is what will matter. I also wish to emphasize that they don’t need to learn how to use all the functions and features of the smartphone. It should suffice that they know how to make and receive calls, compose and send, receive and reply to text messages. To be able to use Facebook and other social media outfit will be bonus or reward for their talent and dedication in learning to use the technology of today. Screen Size – A smartphone with 4-1/2″ to 5-1/2″ screen at 16:9 ratio should be easy to hold and more readable to a senior citizen. Service Provider – The signal strengths of the different cellphone companies at the residence of the senior citizen must checked before getting a subscription from the one that has a descent service which must also be the most common among the other members of the family. Postpaid Plan – As much as possible, get an affordable postpaid subscription for the smartphone that a senior citizen will use. This is to avoid the inconvenience of loading a prepaid account and the big initial expense in buying the unit. When chosen wisely, the recommended unit and the subscription can be had for as low as Ph₱350.00 monthly and the postpaid plan goes with unlimited calls and texts to subscribers of the same service. I will not discuss anymore in details what kind of tablet and personal computer a senior citizen must possess for his use. A 7″-Android tablet of moderate specifications should be enough for an SC’s use in social media participation, reading eBooks and taking pictures and videos of his/her grandchildren. In the case of a laptop or desktop computer, a pre-owned functional unit should suffice. The operating system can be Windows or Mac and the application software in it must have the MS Office or its equivalent so that its user can do some word processing and spreadsheet calculations. These are my suggestions regarding tech gadgets for senior citizens. Your additional recommendations are highly appreciated.